John Packer Musical Instruments received their Queen’s Award from the Lord-Lieutenant of the County, Her Majesty The Queen’s local representative, Mrs Anne Maw on Tuesday, 4th December. Announced earlier this year on the Queen’s birthday, John Packer received the Queen’s Award for Enterprise in the International Trade category - the highest official UK award for British business. John Packer Ltd – a Taunton-Deane based brass and woodwind musical instrument retailer which has been in business for more than 40 years - demonstrated substantial international growth in overseas earnings and commercial success within the musical instrument manufacturing and retailing sector over the last four years. Due to the expansion of the business, the company has recently relocated to Summerfield Avenue in Chelston Business Park. 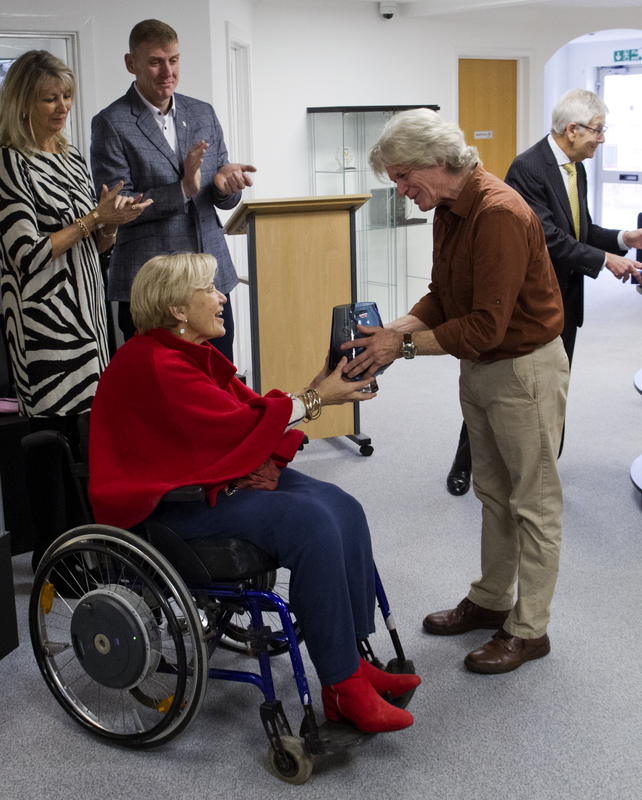 The ceremony - in which John Packer was presented with a Dartington Crystal blue glass bowl - also marked the official opening of the new showroom. The leader of the council Cllr John Williams, and the Deputy Lieutenant Mr Richard Case also attended, along with representatives from Yamaha, Yanagisawa, Denis Wick and other local musicians and staff. Our photo below shows the presentation of the bowl to John Packer, and above a staff picture (Mrs Maw pictured centre).